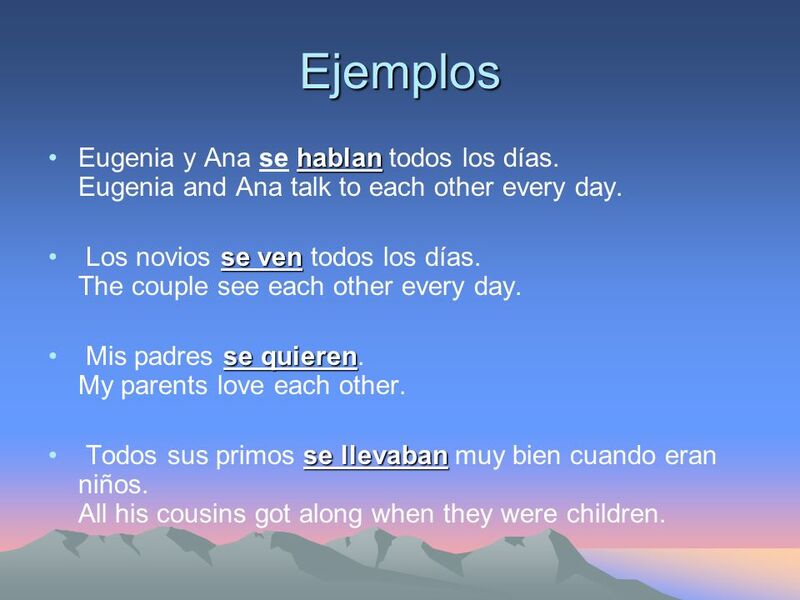 Showing that someone is getting along when the subject needs to be in the plural forms (nosotros, vosotros, and ellos) with the reflexive forms se & nos. 2 Ejemplos Eugenia y Ana se hablan todos los días. Eugenia and Ana talk to each other every day. Los novios se ven todos los días. The couple see each other every day. Mis padres se quieren. My parents love each other. Todos sus primos se llevaban muy bien cuando eran niños. All his cousins got along when they were children. 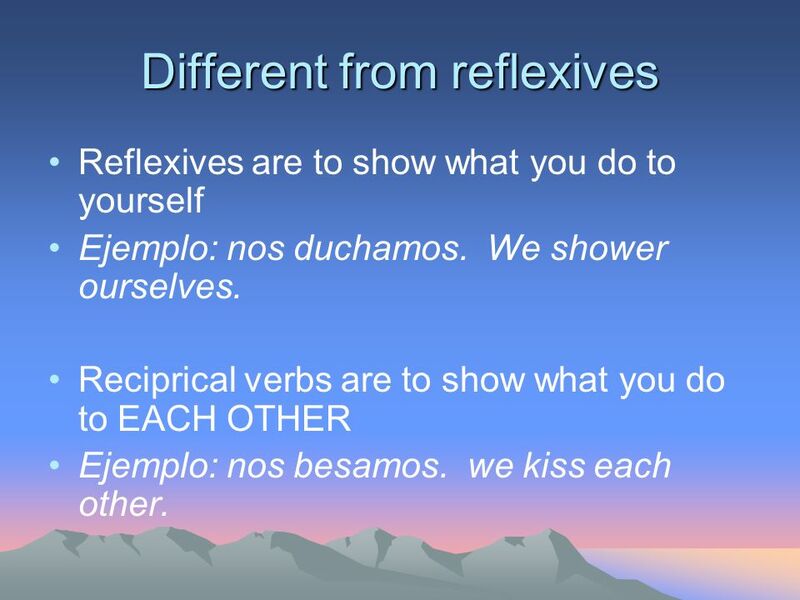 Reflexives are to show what you do to yourself Ejemplo: nos duchamos. We shower ourselves. 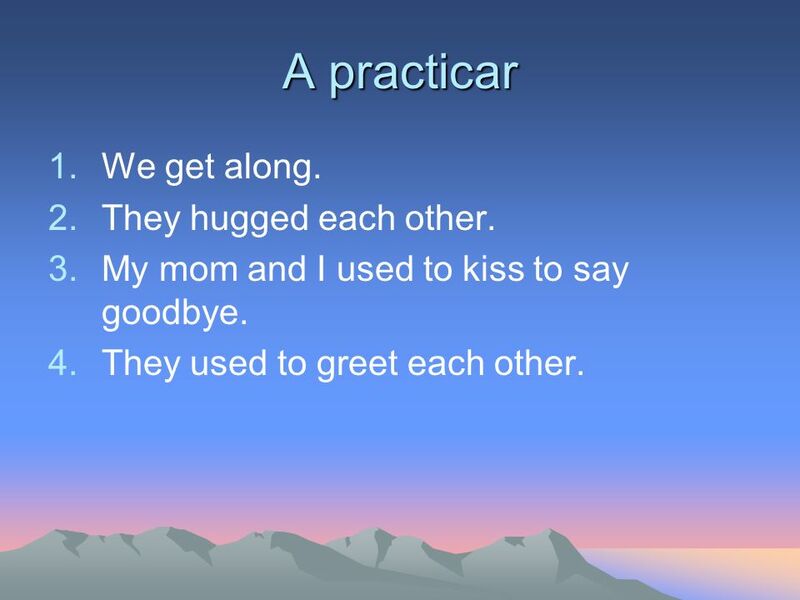 Reciprical verbs are to show what you do to EACH OTHER Ejemplo: nos besamos. we kiss each other. 4 A practicar We get along. They hugged each other. My mom and I used to kiss to say goodbye. They used to greet each other. 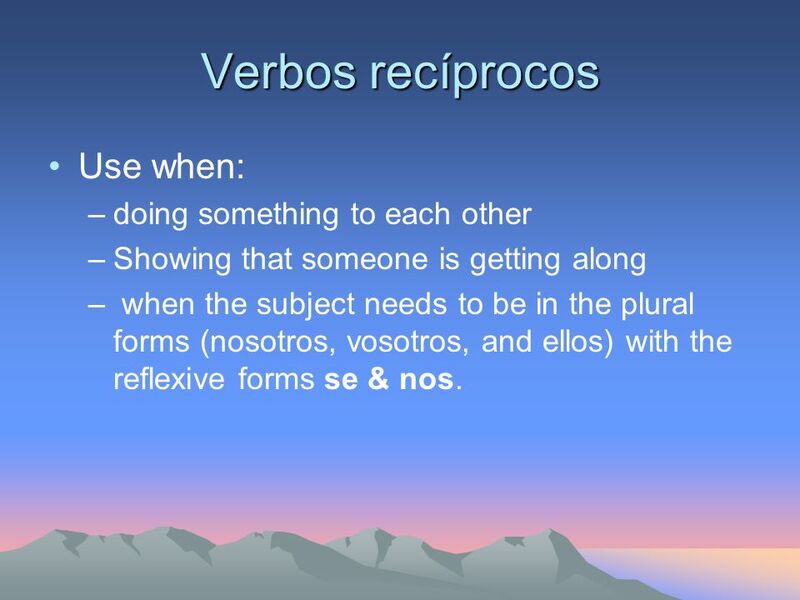 Descargar ppt "Verbos recíprocos Use when: doing something to each other"
Los verbos reflexivos Apuntes de gramática.